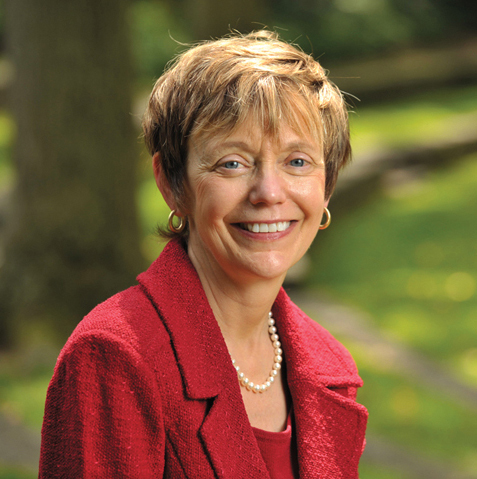 On May 8, I will be inaugurated as Swarthmore’s 14th president. Inaugurations serve several functions in the life of a college. The event can serve as an installation—a ritual marking of the opportunity and obligation of the president to join the community of students, faculty, staff, alumni, parents, and other constituents. Inaugurations can also mark an investiture, granting the president the authority of her office, a term which may make more sense in a corporate and hierarchically ordered large university than a small, Quaker-founded and infused college. When inaugurations are installations and investitures, they are held in the first few months of a president’s tenure. In addition to installing in office and investing with authority, an inauguration has a third purpose, namely, that of discerning the future, and, therefore, is more appropriately timed to occur at the end of the new president’s first year, when the president has become better acquainted with the community and begun to settle into its practices. The word inauguration, after all, comes from “augur” which means “to read the omens.” The arrival of a new president provides an opportunity for a community to consider its future, to ask itself what are the legacies it must steward, to consider wonderful opportunities to evolve that legacy, and to assess the changes in the world at large that must be addressed. Swarthmore celebrates its inauguration in late spring not only so that we can enjoy the beauty of the Scott Amphitheater but also to underscore that the authority of the presidency is shared with an engaged, strong, and consensus-oriented community. I am delighted with our approach since it affirms that together we have undertaken the common project of preserving our legacy and adapting it to the future. Swarthmore is, by all measures, in an enviable position: extraordinary students, alumni, staff, and faculty; a magnificent campus; and an academic program that is compelling, challenging, and creative. As higher education faces pressures and opportunities dominated by what some call a “knowledge economy,” Swarthmore faces its future with a sense of excitement and energy. But the world is a different place than it was 10, 20, or 30 years ago, and we must take care in stewarding our college appropriately into the future even as, by providing one of the best undergraduate educations in the world, we expand our leadership role in higher education. Building the common good and supporting civil discourse One of the most interesting intellectual, political, and cultural issues in contemporary society is the lack of a clear sense of the common good. The dismal standards of civil discourse in health care debates, newscasts, and town hall meetings manifest the need to fashion a new sense of commonality in our country and also in our world. Our enduring commitments to civic engagement and to creative expression as well as the rigor of our academics can be tremendous assets as we try to address how to build a common life “in front of us” in this century. Complex problem solving in a globalized, collaborative environment The essence of our legacy, first and foremost, is intellectual rigor. As I have travelled around the country this year meeting Swarthmore alumni, the most common refrain I have heard is that we must fiercely protect that rigor and the creativity of the College’s intellectual experience. In the knowledge economy, we must ensure that our students are able to collaborate to solve complex problems in dramatically diverse global contexts. Internships, civic engagement, and study abroad must be among the experiences through which intellectual rigor and creativity are explored. Disciplinary depth must be sustained, but much new knowledge is being formed at the edges and intersections of the disciplines; the habits of interdisciplinary thought must be further cultivated. Sustainable living In light of the threat of global warming; the need to overcome the multiple ills of poverty, hunger and disease; and the aspirations of people everywhere for a more just and humane world, the College must model through its own practices and policies a greener, more sustainable way of living. It is through that modeling and curricular offerings that we can best prepare our students to live more simply and sustainably when they assume leadership roles in their communities and the larger world. Economic structures of higher education America has one of the finest higher education systems in the world. 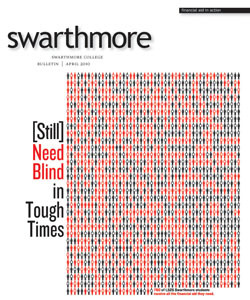 Thankfully, Swarthmore is looked to as one of the leaders in this system, but the system has depended upon financial assumptions that are under intense pressure. Costs of financial aid, health insurance, and anticipated technology needs are increasing at unsustainable rates. At the same time, a difficult investment environment, economic pressures on student fees, and the impact of the economy on donors have constrained our revenue sources. We need to develop a financially sustainable model for our commitments to educational access, academic quality, and the well-being of our community. Some of these issues will be explored in greater depth at the inauguration. For those of you who can’t attend, please watch the scheduled panel discussions and the ceremony on the Web. But most important, please be ready in the coming years to discuss these issues with me and others in our community—and to suggest ideas of your own. Our work together will be made stronger through consideration of all of our thoughts, questions, and perspectives. Swarthmore, as many of you have told me this year, is very special. As president, I will work hard to steward this community. I am excited about discerning the signs of the times with you and further evolving our missions of upholding excellence and providing leadership in an increasingly tumultuous world. We’re Saving a Seat for You!